Newton Aycliffe 1st XI v Bedale 1st XI – weather was warm and sunny. Bedale won the toss and chose to bowl first. Newton Aycliffe’s first team continued their promising start to the season with an excellent victory at home to Bedale by 53 runs. Adam Gittins (sponsored by Pheonix Energy) was given the man of the match award after his workman like unbeaten 58 from 118 balls held the Aycliffe innings together, enabling them to set Bedale an unachievable target of 200. Bedale 2nd XI v Newton Aycliffe 2nd XI – weather was warm and sunny. Bedale won the toss and chose to bowl first. Dylan Tribley 3 for 24 and James Brown 2 for 24. The second team made it an excellent double for the club as they travelled to Bedale 2nd team and came out on top by 58 runs for their first league victory for two seasons. 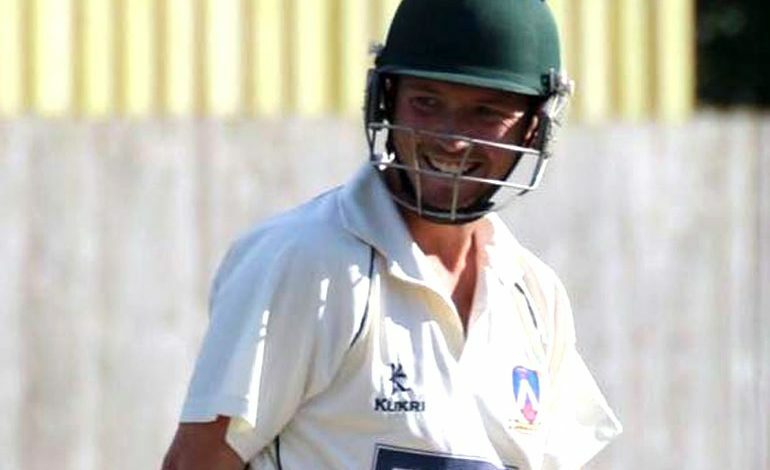 Joe Haines (pictured above) was quite rightly given the man of the match award after scoring a superb 85 from just 78 balls and his innings included 11 boundaries and two sixes. Haines capped a fine day by also taking two catches and chipped in taking the final Bedale wicket as well.